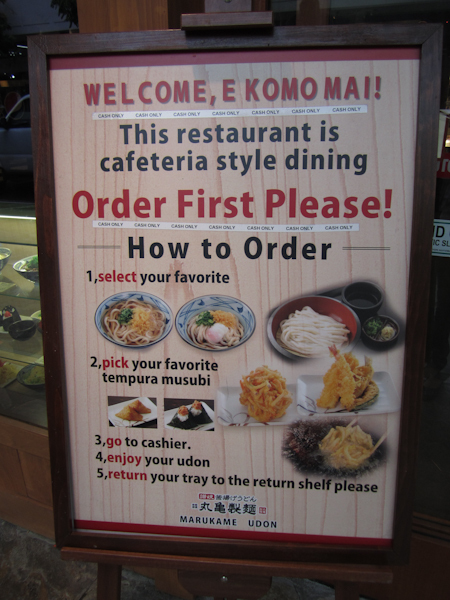 Finally got to eat at the new Marukame Udon in Waikiki. 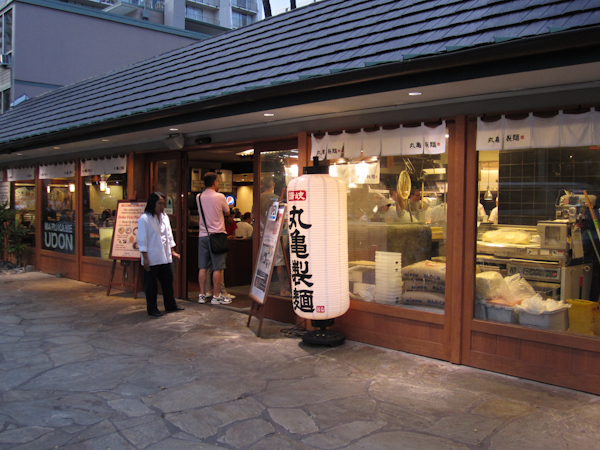 This restaurant boasts hundreds of locations in Japan, all based on the simple concept of serving freshly made sanuki udon fast, cheap, and just the way you like it. 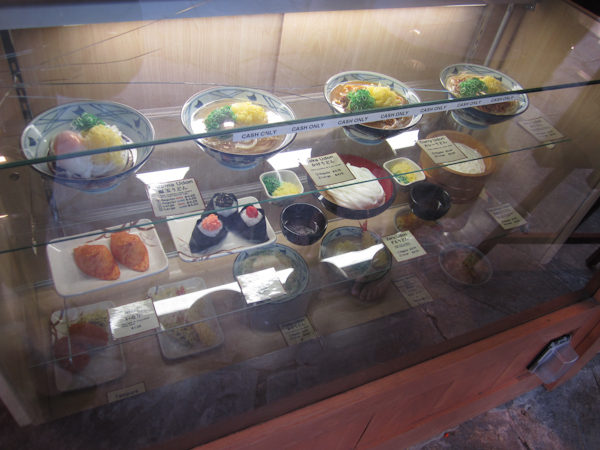 A plastic food replica display! 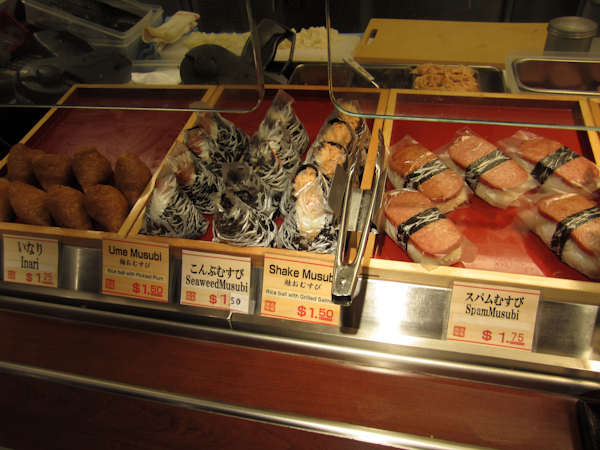 It’s the little things like this I so miss about Japan. 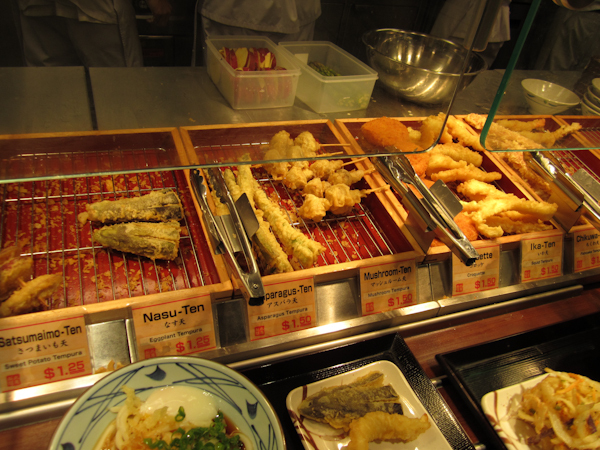 Then, there’s a self-service tempura bar with tempura pieces averaging $1.50 each to complement your udon. 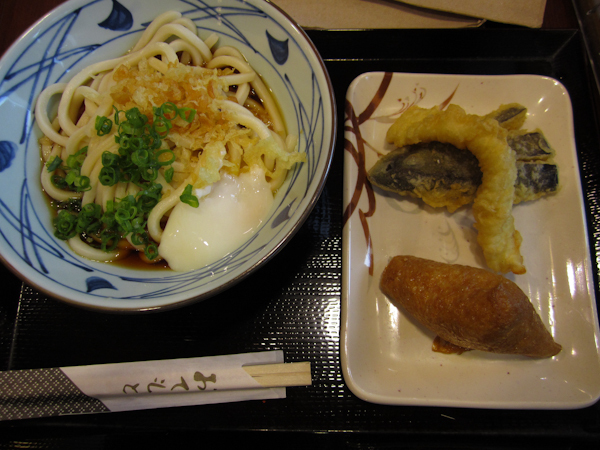 My meal: Ontama Udon ($4.25), Inari ($1.25), Eggplant Tempura ($1.25) and Calamari Tempura ($1.50) for a total of $8.25. Hubby’s meal: Large Kake Udon ($4.75), Veggie Kakiage ($1.50), Fried Chicken ($1.50), Shrimp Tempura ($1.75), and Mushroom Tempura ($1.50) for a total of $11.00. My opinion on the noodles is that the texture was not as chewy as I like my sanuki udon to be, but the overall experience was fun and very satisfying. Parking is nonexistent, but we just paid $2.00 for metered parking off Kuhio Avenue and walked a few blocks. We’ll be returning soon! Have you been? It’s definitely someplace you would enjoy! Wow, looks so delicious Sure wish I had a bowl. It does look authentic! Too bad they weren’t chewy. But I’ll have to try it. I mean, it’s so cheap! Hi Mariko, I hope you enjoy! 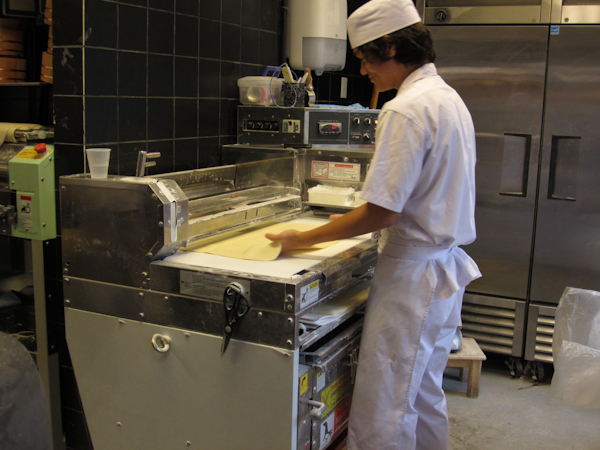 guess this is the type of place where you can make your meal as cheap or as expensive as you want. 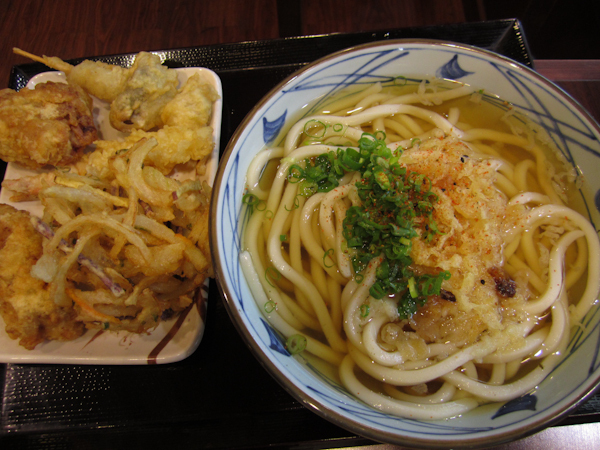 Just an order of udon is enough to satisfy a hungry tummy for under $4, but if you add on lots of tempura, the meal could easily exceed $10. 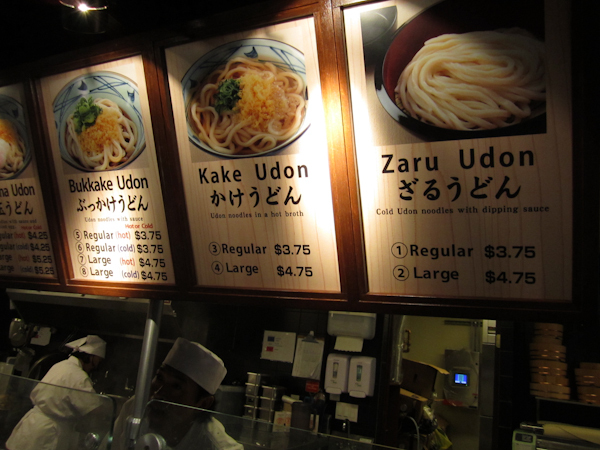 My sister swears the udon she had at Marukame in Japan was chewy, so I’m going back next week to try it again. $2 for parking?! You’re lucky you found parking on the street at all. We had to park at the Waikiki Trade Center and paid $11 on the weekend! Hello, thank you for commenting! 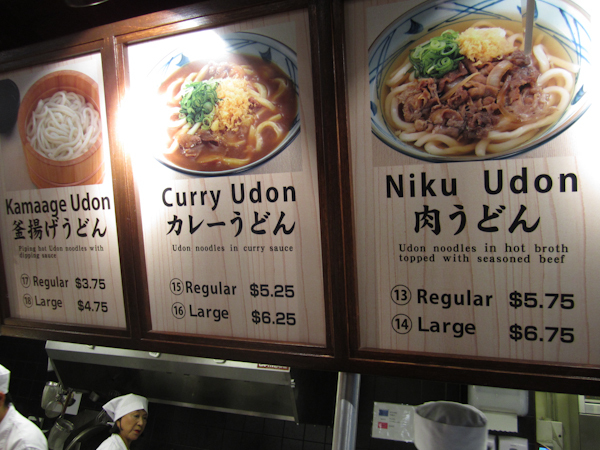 Wow, $11 for parking… At least I hope you enjoyed your udon! I went to a metered lot just off of Kuhio Ave. (makai side, by the Blue Water Shrimp Truck), where we usually can find a stall pretty easily. It is a farther walk than the Trade Center though.